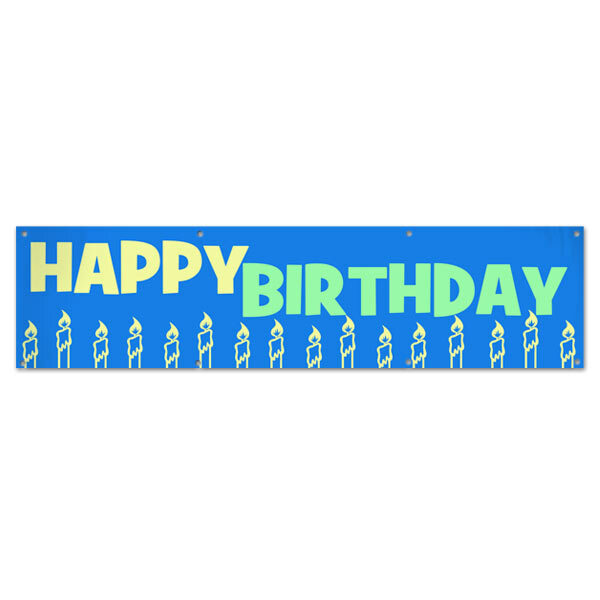 Planning a friend or relative's birthday and looking for party decor ideas? 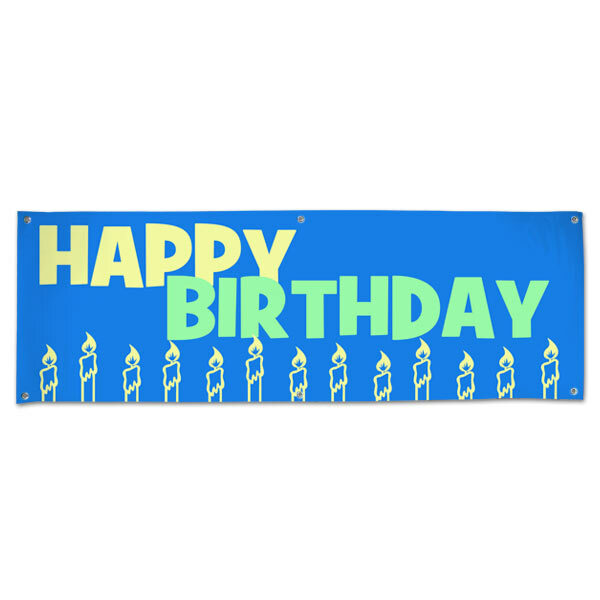 Our happy birthday banner adds color and personality to any celebration and is ideal for display indoors and out! 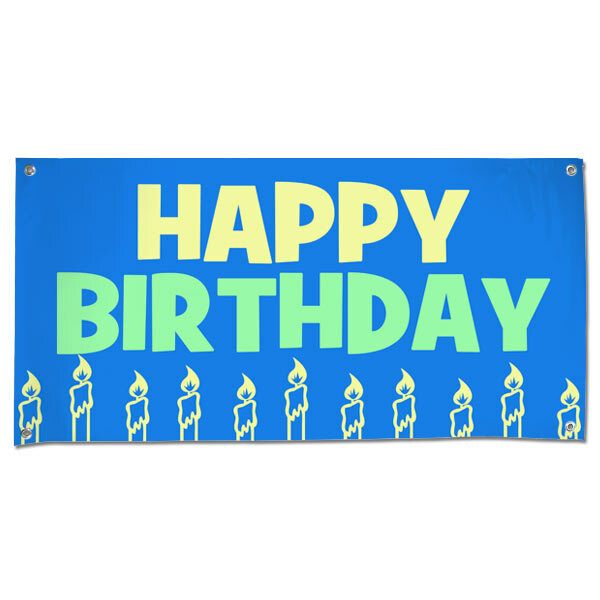 Just select a size, place your order, and wait for your banner to be delivered to your door before the festivities begin. With our stock banner option, there's no customization needed since they're pre-printed and ready to ship. Just quick, easy party decor that's sure to make a statement! Looking to create your own party banner instead? Our photo banners can be customized with pictures, text, and a wide range of background colors to compliment any occasion!